We investigate the reconstruction limits of a non-ideal spatial light modulator (SLM). We model the SLM encoding as a sampling of calculated hologram by the SLM. In this paper we investigate the effect of pixel dimension to the quality of hologram reconstruction. We test the results for large pixel dimensions from an SLM extracted from a low-cost liquid crystal display (LCD) projector. We find that large pixel SLMs are unable to accurately reconstruct the targets. Our simulations also show that SLMs with smaller pixels yield more accurate reconstructions as shown in the reconstruction's mean square error (MSE). X. Bilon, R. B. Nicolas, P. L. Hilario, and G. Tapang. 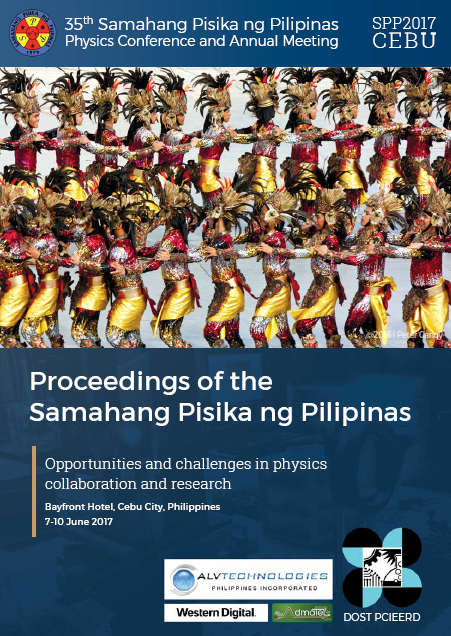 Holographic reconstruction limits of a non-ideal spatial light modulator with large pixels, Proceedings of the Samahang Pisika ng Pilipinas 35, SPP-2017-PA-39 (2017). URL: https://paperview.spp-online.org/proceedings/article/view/246.